Really great doctor, answered all my questions, was extremely patient with me, and even fixed an issue I thought I'd haveto go to see another specialist to fix. He was great! He quickly diagnosed me and I felt very confident that I was going to be just fine! Healso inspired me to work on my endurance lol! Awesome Doctor. He was great! He quickly diagnosed me and I felt very confident that I was going to be just fine! He also inspired me to work on my endurance lol! AwesomeDoctor. 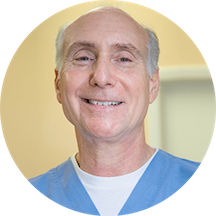 David Drachman is the passion and driving force behind Drachman Dermatology. With over 20 years of experience fueled on a passion for science that began at a young age. Dr. D was attracted to and enjoyed the variety and challenges that the field of Dermatology presented. Specifically the mingling of internal and external medicines and the many dynamic solutions to any given skin type. Having authored articles in medical journals and having been involved in teaching both medical students and residents Dr. D is an expert with a unique understanding of skin, skin diseases and treatments. Very courteous. Virtually no wait time. I would recommend. I really disappointed cause i do everything before coming to the office is when i arrived wast my time, my gas money, and get me check ang then told me they not accept my ansurance on top of that i talkto someone at that office they said yes my ansurance ok for there place. He is really professional and very kind. I woupd recommend him all day. Great doctor! Very knowledgeable and patient. The place is very clean and organized, no long wait time. Highly recommended. Dr Drachman was very thorough and made sure to explain range of options and issues. I'll look forward to seeing him again soon for follow-ups. Highly recommend. I felt like dollar signs to him. Professional with a great bedside manner. 3 years worth my former dermatologist was all rolled into my initial appointment! Dr Drachman was very sharp and knowledgeable and immediately went into action to save my face literally..! Can’t wait for the results! Wasn’t particularly impressed with how the front desk staff greeted or assisted me. Got there 10 minutes early and pre-filled out all my information online ahead of time and still had to wait 35 minutes beyond my appointment time. Dr. Drachman was polite and seemed knowledgeable. The Dr. knew exactly what I had right away. Willingly answered all of my questions. Will be making him my dermatologist. Great doctor. Very efficient and great bedside manner. Waitied over an hour after initial check in with no acknowledgement. i finally had to ask what was going on Why make an appointment? I was seen right away by Dr. Drachman, who treated me kindly and addressed my concerns clearly and directly. He spoke to me in terms I could understand, and I was through with my appointment in less than 30 minutes. Doctor obviously knows what he is doing. Hello, I would say that was a good experience in general. I haven't shared my feedback through any website before. The reason why I do it now!! it's because of my visit to Dr.David clinic. I thought that kind of doctordoesn't exist anymore. As most of us know that the doctors these days are too rash and do not spend enough time with their patients and that make the patients don't feel happy after they leave the clinic. Dr,David was very professional, gave me enough time to explain what was the reason for my visit and then he started to do the diagnosis process gently. After he finished from the diagnosis, he started to explain to me what is my condition "he used his pen and a piece of paper" to make sure that I did understand everything. and what kind of medication I should use . I would thank Dr. David and the front desk nurse for everything they have done for me. This clinic is highly recommended. He was very knowledgeable & professional. I will definitely return. He explained in detail what was causing my problem. Very efficient & he took the time to listen to me so I never felt rushed. He was very friendly and knowledgable . The receptionist was friendly and fast. I would def recommend it to anyone! Dr Drachman was nice and pleasant, but I just wish he would have spent a little more time explaining to me in more detail the reason for my visit. I went to see him because I noticed these dark spots onmy hands (freckles) and had some concern that maybe it was the beginning stages of skin cancer due to the sun. He briefly looked at my hands and mentioned that perhaps I had touched some chemicals or either made some drinks with lemon juice and that it had caused me to get the spots on my hands, however I have not handled any chemicals or recall making any cocktails with lemons. He then said he would prescribe me a cream to rub on my hands so that I would not get any more spots in the future. The entire session lasted about 2 minutes and this was my concern. I felt like he needed to do further examination vs just merely "eye balling" my condition and prescribing a cortizone cream. At this point, I still do not know what caused the dark spots on my hands and am considering going to see another dermatologist for a second opinion, which in turn is going to cost me another co-pay, and more time off work so therefore I would not recommend this doctor. I saw Dr. Drachman regarding my acne. It was my first time. He was thorough, professional, very nice, and told me what I needed to know. I saw him at his Aventura location and I will go back to see him again. My appointment was at 1;15pm and I got there at 1:06pm. I signed in and waited for the receptionist. No one came to the window for over 30mn. I've never had that kind of experience. The least they could do isgive me the paperwork to fill out. I will not go back to that office. Excellent bedside manner and very knowledgeable doctor! A very experienced and knowledgeable doctor, easy to talk to and knew exactly how to treat my issue. I would not hesitate to come return should I need a dermatologist again. Very pleasant and knowledgeable doctor! He is very kind, understanding and quick. I was impressed that he remembered me and my case even though it had been a year since I went to his office the first time. I recommend him. Courteous, attentive, caring. It was a positive experience. It has been awhile since I met a physician of his caliber. I highly recommend him. Real Professional. Dr. was extremely knowledgeable. Was seen at appointment time. Professional. The visit was a little short. But I did not get a feeling I was rushed. I would recommend David Drachman. Very good assistance , understanding , explanation and supporting to patient . Fees are a little be high . He was very honest with you when you asked any question.. He take the time to explain if it will be helpful or not!! Very professional, knowledgable and friendly doctor! Dr. Drachman is great! Staff is very friendly. However, be aware that ZOC DOC does not have updated insurance information. I made this appointment as it said Blue Cross and Blue Shield Blue Options was accepted and that is NOT the case. I had to end up paying cash. Dr. Drachman is very nice, kind, and reassuring. He will provide you 100% attention when he's with you in the room. Waiting time is very brief and the check-in process is efficient. The appointment was for my 8yr. ole daughter. She was a little uneasy and ticklish (rash in neck). Dr. Drachman was amazing! So sweet and professional. Got her to trust him and relax. Can't be happier. The doctor was nice and took his time explaining everything to me however he didnt even look at the problem areas, just went ahead and prescribed his usual scripts. Everything was okay with the doctor except the office itself and the building seemed sketchy and not taken care of. He was very knowledgable and attentive to my concerns.